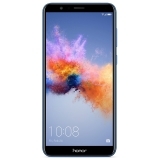 Honor is popular brand for smartphone of Huawei. This list contains most popular mobiles of Honor available with exchange offer. This includes Honor 7X, Honor 8X, Honor Play, Honor View 20 etc. The price and discounts mentioned are at the time of writing. Please check final value at the time of purchase.